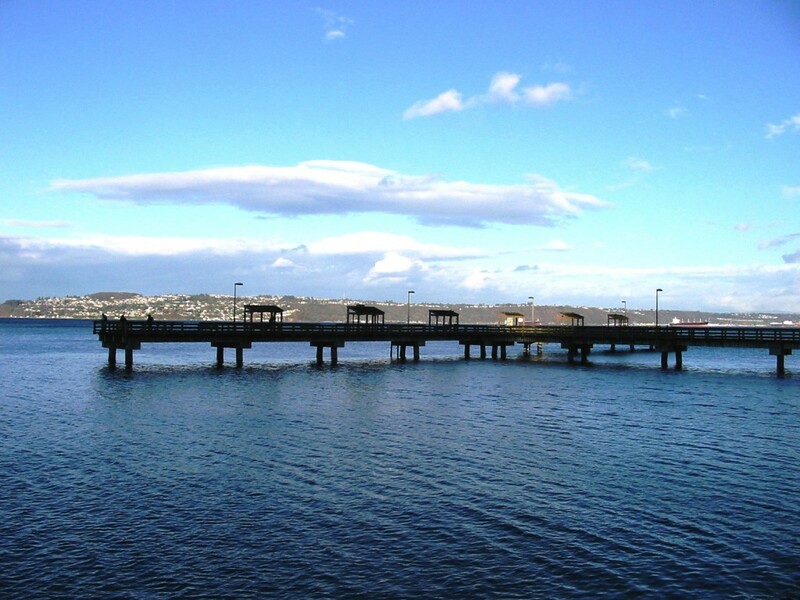 Les Davis fishing pier is located on Ruston Way is one of the nicest piers in the state. Located off scenic Ruston way this Tacoma park offers some great fishing and while your there you can throw crab or shrimp pots as well. Check out Les Davis fishing pier for our self and you’ll see why it’s a local favorite. To view a chart that indicates when the salmon run this body of water to become a member of Lunkersguide.com Today!!!! Season usually starts in July and runs till the end of the year, but fishing from the dock is year round. Cut plug is by far the most productive at this location, Next Superbait then buzz bombs and lastly Spinners. Stacked! Over the years this place has become really popular. Generally, anglers are stacked about 6 feet apart when the run is hot. Get there early to secure your spot or you may get pinched out. Become a member of Lunkersguide.com to view our Lunker location map to the Les Davis Fishing Pier.